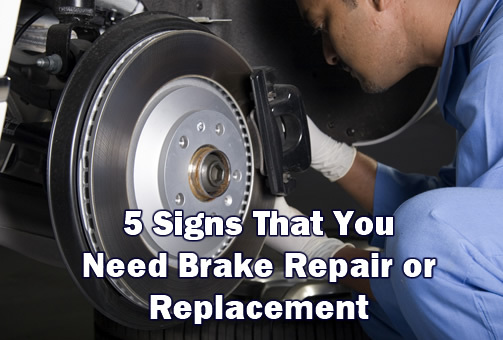 Car owners often ignore brake repair, though it’s sometimes necessary. Yet, it could prove the difference between life and death. Imagine you are driving on the open roads and freeways with your windows down and the music volume up. It’s easy to forget that you’re traveling at 80 mph in a chunk of metal and steel. Your car could take several seconds to come to a halt if you suddenly hit the brakes. That is only if your brakes are perfect and well maintained. Often when the brakes wear out, your car will start pulling to the other side of the road when you hit the brakes. To examine your brakes, drive in a straight lane. Once you reach a good speed, apply the brakes and check whether the car pulls to the other side of the road. If it does, it’s time you considered professional brake repair or replacement. A throbbing sound or sensation when applying the brakes indicates that your brake pads have worn out. Pulsating brakes cause vibration that you will notice when driving your car. Re-machining the brakes is an effective solution for this problem, although it is better if you invest in new brake pads. One of the most obvious signs of worn-out brake pads and shoes are the clicking noise they produce as soon as the driver puts their foot on the brakes. Upon depression of the shoe, it you notice a rattling noise, you should replace your brake pads with new ones. Bear in mind not to drag your brakes for too long, especially if they produce this clicking and rattling noise. Another way to determine if you need brake repair services is to pay attention to the brakes and see if they produce a high-pitched screeching sound when pressed fully. A small metal shim in the brakes is the cause of this sound. It typically acts as an early identifier for the driver, helping them figure out if they need to change the brake pads. You can look for visual cues when determining if you need brake repair or replacement. Among these many cues, if the driver can see the brake pads by looking at them through the spokes of the car wheel, it means the brake pads are too thin to function properly. Therefore, now that you are familiar with the signs mentioned above, identifying when you need brake repair or replacement won’t be a problem.